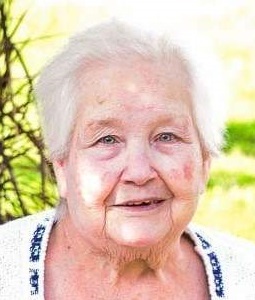 Adele Marie Stonesifer, 85, of Westminster died peacefully on Saturday, January 19, 2019 at Carroll Hospice Dove House in Westminster, surrounded by her loving family. Born September 2, 1933 in York County, PA, she was the daughter of the late John Thomas and Agnes Josephine (Glacken) Forney. Adele was a sewing machine operator at Westminster Shoe Company for many years and later worked for Robert Tracey Catering in Westminster for 15 years. She enjoyed cooking, sewing and spending time with her family. She was an avid fan of the Baltimore Orioles and the Baltimore Ravens. Surviving are children, Russell Stonesifer and wife Theada of Littlestown, PA, Carolyn Eckard and husband Gary of Taneytown, JoAnna Swope and husband Lee of Taneytown, Darla Wagner and husband Vernie of Westminster, and Jeffrey Stonesifer and wife Agata of Nottingham, MD; sister, Virginia Edwards of Florida; 7 grandchildren; 17 great-grandchildren; 2 great-great-grandchildren; and many nieces and nephews. She was predeceased by son, Lorraine Stonesifer; daughter, Theresa Stonesifer; and siblings, Carrie Houck, Pauline Downs, Joseph Forney, Rosanne Leister, Lilian Wisner and John Forney. Services are private. Arrangements have been entrusted to MYERS-DURBORAW FUNERAL HOME in Westminster. Memorial contributions in Adele’s name may be made to Carroll Hospice Dove House, 292 Stoner Ave., Westminster, MD 21157.